I don’t update this blog often. That might change in the future, but for now I won’t be able to dedicate too much time here. I suggest following me if you want to know when new content is uploaded. I remember very clearly the first time I played a video game. I was visiting my grandparents and my uncle, who would have been fourteen, called me over to show me this new computer game he was playing. He booted up the old machine, put a floppy disk into the drive, and ran a few lines of code. I watched as the CTR monitor flickered, a heavy guitar riff started playing through the tinny speakers, revealing a green-armored soldier blasting his gun and a single word splashed across the screen. I was three years old. From what I understand, my uncle got a stern talking to after this incident. DOOM mesmerized me, much to my mother’s dismay. I thought about it for years afterward and made believe that I was that soldier. Except it wasn’t the shooting imps with the chaingun which had so thoroughly sucked me in. The blood and bullets were fun, but what drew me to the game was the experience of being transported to a new and unfamiliar world. Remember, I was three years old and the scope of my experience was my family’s apartment, a part of Pittsburgh that wasn’t quite as run down as you would expect, the part of Pittsburgh where my dad worked (which was JUST as run down as you would expect), and my grandparents’ house. I wasn’t in preschool yet, we didn’t have cable, and I wasn’t reading much more than “See spot run” at that point. But in DOOM . . . well, just look. These crude 320×200 pixel images were a portal (no pun intended) to worlds I had never imaged were possible. After this point, I begged my parents until they let me start playing video games and I devoured as many as I could. And once again, the strange and exciting places games took me mattered much more than the story or gameplay. Here were some of my favorites. Super Mario World. Still one of my favorites in the series. It’s really incredible what you can do with a few dozen colors and a handful of pixels, it’s it? It takes a huge amount of skill, but a talented artist can bring characters and scenes to life on their digital canvas. And as the tools to create more and more intricate video game graphics have increased, artists have been able to create better and better visuals, right? Well, sometimes. A lot of the time, actually, but not always. A really good discussion of how “HD” game art isn’t always better than “pixelated” art can be found here, but I want to talk about this issue a bit more generally. Specifically, I don’t really like the pursuit of better graphics for its own sake, especially with the newest generation of consoles. I say this because for a long time I drooled over the next big innovation in game graphics (remember when this was the pinnacle of what games could do? ), but after a while the glitter of higher fidelity rubs off. There’s nothing wrong with wanting better looking games, of course, but the real question that I end up asking is do better graphics make for a better game? I can’t possibly answer this question completely, but I’ll try to provide a few broad trends which I have noticed over my twenty-five years of gaming. First, graphics can add (or subtract) from a game in two ways: the value that the art assets add and the cost of actually creating those art assets. Let’s start with this first point. Having higher graphical fidelity in a game can absolutely add to the experience. At the most basic level, consider the challenge of conveying visual information to the player in some of the early games, like the first Ultima game. Most of the art assets, including character sprites, have to live in an 8×16 pixel box and have a very limited color palette. With these kinds of restrictions, it becomes very difficult to illustrate the vibrant and creative fantasy world which Ultima is trying to evoke. Would you have guessed that the pink t-shirt and cyan, skintight pants wearing fellow there was a thief without the text telling you so? Or we know that that green creature is probably some sort of horned monster, but we aren’t given much besides that. Now let’s skip forward a few generation of this game. Ten years of computing development can make quite a difference, can’t it? We now have large, colorful sprites which live in a world with actual objects. We can get some character out of these art assets, or at least some idea of what they represent just at a glance, like the guard in the tower over there. You don’t see any here, but the game is also populated with the type of things you would imagine to have in a fantasy setting–there will be flagons and barrels in taverns, flasks and potions in a laboratory, and so on. This is a case where improved graphics undoubtedly add to the game. Think of it as providing the artists with a larger canvas to work with–they can add more detail, provide visual cues, and have more on screen at a single time. But having a larger canvas means that you need to fill it with more things, and keeping up a consistent standard of quality with more material is, of course, more difficult. This issue tends to crop up when there is a large jump in hardware, such as when 3D rendering became viable in the late 90s. To illustrate, let’s compare two games which came out around this time period: Asheron’s Call in 1999 and Baldur’s Gate 2 in 2000. We’ll star with the former, a fully 3D rendered game. Now don’t get me wrong, I’m not here to bash on Asheron’s Call. This was pretty incredible stuff back in 1999 and while they are sparse, the graphics do their job. Characters are visually distrinct, you know what objects are supposed to be, and the game is far from the worst user of early 3D (looking at you, Final Fantasy 7). Still, let’s compare this to its 2D contemporary. Note that Asheron’s Call actually has much larger models for characters and can put much more on screen. But the developers at the time didn’t have the means to fills that larger canvas space with much stuff, leaving us with a large amount of empty space. In addition, what is there isn’t able to be terribly detailed, leaving us with a game which has a more modern graphical system than Baldur’s Gate 2, but which looks significantly worse. Put another way, having a new graphical toy to play with, be it 3D or 4K, won’t make your game look better until you are able to use this new medium well. And the more sophisticated our graphics get, the more work we need to put into the art assets. Which brings us nicely to my second point: work put into creating art assets is time and money which cannot be used somewhere else. 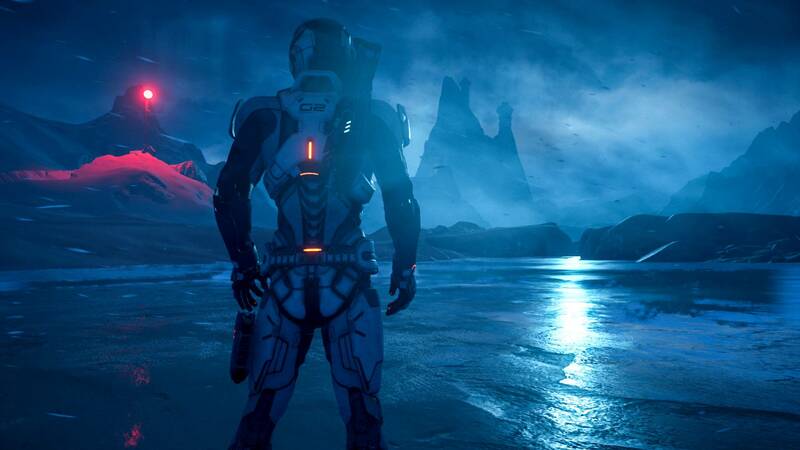 Let’s exploit a recent gaming snafu to illustrate this point: Mass Effect Andromeda. ME:A is the fourth installment in Bioware’s Mass Effect line of games, a character-driven, sci-fi RPG shooter arrangement which was well received by fans the critics alike . . . mostly. 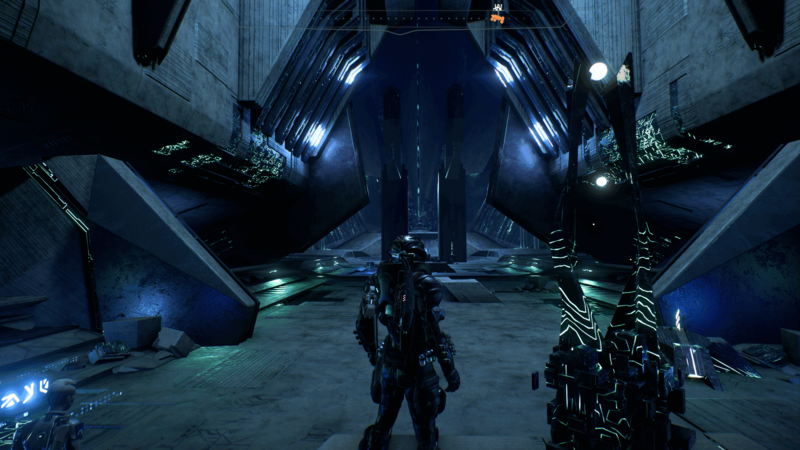 Unlike the previous games, Andromeda is an open-world game with a large amount of environmental detail and a much larger emphasis on combat. And the developers did put a lot of effort into making beautiful locations and flashy combat. But at the same time we see that other aspects of the game, such as facial animations, the story, and general QA, seem to be neglected in comparison. This is probably in large part because the majority of the game was hammered out in 18 months, but even so the game suffered because these other arena were neglected. I strongly suspect that the game would have been much more positively received if it had sacrificed a bit of graphical edge for a better polished product. And, really, that could be said for a lot of games. Let’s look at two other games which pushed the graphical envelopes but which just weren’t that good of games. We’ll start with a title called Rage. When would you guess this game came out? We have highly-detailed character models, dynamic lighting and shadows, reflections from light sources, well-rendered skin, all coming together to create a rather stunning visual. So when do you think? No cheating now. And the answer is . . . 2011. That’s the same year as Skyrim, Dark Souls, and Deux Ex: Human Revolution, none of which are bad looking games by any means but Rage stood head and shoulders above them. But rage performed far worse than those titles, both in sales and with critic scores, earning an unimpressive 79% Metacritic score and a 7/10 on Steam. The second game I want to look at is the 2013 release, Beyond: Two Souls. Beyond: Two Souls not only looked gorgeous, it took the incredibly ambition step of using motion capture of professional actors to get a larger number of the character animations in the game. This provided a stunningly real and, well, human quality to the game’s cast. But again the game did not perform well, earning a 70% on Metacritic. All of that work into making a legitimately beautiful game ultimately suffered because it was not backed up by a solid and fun gameplay experience. In contrast, a similar contemporary, supernatural, character driven game which was received well is the 2015 game, Life is Strange. The developers intentionally steered away from hyper-realism and went for a simpler, stylized art style which is perfectly acceptable but is in no way pushing graphical boundaries. Now comparing these two games might not really be fair, but they’re similar on enough dimensions that I think the comparison is still useful. See, Life is Strange is currently sitting with a 10/10 on Steam, in large part because the developers absolutely nailed the parts of a character driven story game that matter the most: the characters, story, and gameplay mechanics to support them. Could Two Souls have been a great game like this? Probably, though its narrative and mechanics would have to be cleaned up, but putting in the work to iron out the parts of Two Souls which did not work would probably have been much more feasible if so much of the game’s time and budget were devoted to story and gameplay instead of graphics. As a final note, I’d like to suggest that some games would not be better with improved graphics, even if the gameplay supporting those graphics was solid. And I think the best example of this principle is the arcade favorite, Mrs. Pac-Man. Remember kids, you can spend all your money eating yellow dots, but drugs are bad. “But wait,” I hear you say, “Mrs. Pac-Man was the update of the original and has better graphics!” Yes, that’s correct, but that’s not what made Mrs. Pac-Man better than its predecessor. Better level design, tweaked ghost AI, and other small changes are what made Mrs. Pac-Man superior. But that’s not really my point. Consider: would an HD Pac-Man game be better than Mrs. Pac-Man? How about a 3D Pac-Man? I contend that the answer is no. The gamplay of Mrs. Pac-Man doesn’t need anything flashier to support it. You can make the game look prettier or add visual bells and whistles, but what makes a the game good is the actual frenetic dot-munching. The game doesn’t need anything fancier. You could say the same thing about a lot of games, I think, and not just the old classics. FTL, Undertale, Crypt of the Necrodancer, and The Banner Saga are contemporary titles which I think do just fine with the art that they have. In fact, I think Undertale in particular would actually suffer if it were to be presented in HD as the pixel art is an integral part of what allowed the game to be such a good deconstruction of its genre. I guess a good way to sum up my feelings on this topic is that I don’t like the pursuit of graphics for its own sake. In my view, the visual design and presentation of a game is just as much a design choice as story and mechanics and should be chosen with the same type of deliberation. Higher fidelity can absolutely improve a game experience, but we see time and again examples where a beautiful game doesn’t have the meat to actually make it fun (*ahem* Battlefront). And the next time you see that gorgeous trailer from E3 or promises that some new hardware can run even more realistic games, keep in mind that those visuals come at a cost and very often cannot carry a game on their own. NextThat’s not how the force works: How can something so good be so boring?